The AUS quarter-finals were both sweeps; I don't expect that in the semi-finals. Thanks to finishing first place in the regular season, UNB gets to play the lowest survivor - Acadia. For the fans, and probably the players, I don't think it really matters who the V-Reds play, as all of the remaining teams are rivals. UNB took their season series 3-1, but perhaps worrying for Acadia, the Axemen have not scored in the second half against UNB. And they're coming off two 1-0 wins over UPEI where Scott Tregunna was the only Axemen who could find the back of the net. So scoring could be an issue for the team in red and blue. 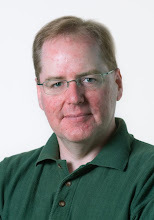 As for UNB, well they're a little banged up (but who isn't this time of year) and the two week layoff may have dulled their edge a bit, but I think you have to favour them in this series. I can see this going like their season series, 3-1, with lots of bruises on both sides. The Battle of the Saints should be anything but. Sure the Huskies finished in second place, but they've lost all four games against StFX this season, despite outshooting the X-Men in each game. StFX plays a strong defensive game, and Joey Perricone has been there most games to bail them out in nets. And, after upsetting UNB last season the X-Men got dumped by the Huskies, so lots of motivation here. SMUs matches up very well against UNB, especially at home, but I don't know how well they'll do in the trenches against StFX. I can see this series going five games, and maybe the X-Men even squeaking out the win. Game #1: After a bit of a feeling out in the first period Saturday night, this game came alive in the second period. UNB picked up the pace and pretty much controlled the territorial play, until they had to kill penalties. But the first goal of the game came shorthanded, by Chris Culligan from a perfect feed from Hunter Tremblay at 5:28. Christmas pickup d-man M.-A. Desnoyer pinched in and collected the garbage just over two minutes later to make it 2-0 for UNB. The V-Reds energy line made it 3-0 when Spencer Corcoran's shot found the far side of the net at 12:52. Three minutes later the UNB attack drew a penalty and captain Kyle Bailey batted the rebound past Kris Westblom. The offensively challenged Axeman (only two goals in last two games) didn't have an answer in the third period - while they did generate more shots, especially on the power play, Travis Fullerton made the save when it counted to preserve his shutout. Shots were 30-15 for UNB in the 4-0 win. Acadia was 0-for-6 on the power play in the game, including three two-man advantage situations. The night was the season debut for UNB defenceman Ben Shutron, who broke his femur back in September in an exhibition game against Calgary and has rehabbed way ahead of predictions. Game #2: It was the longest game in the history of UNB hockey as V-Reds rookie Nick MacNeil scored his second go al of the game at 11:53 of the 4th OT period on a two-on-rush with Chris Culligan to give the home team the 3-2 win. Acadia goalie Kris Westblom made 77 saves in 121:53 minutes of play. UNB goalie Travis Fullerton wasn't near as busy in making 37 saves, but many of them were game savers. Game #1: Friday night in Antigonish the game saw a tentative start with only 10 shots cobined between StFX and SMU. X's Phil Mangan scored from close in on his team's first shot of the second period, followed by Bryce Swan less than four minutes later. Co-captain Chris Hulit scored on a hard point shot midway through the period to put the X-Men up 3-0. D-man David MacDonald got SMU on the scoreboard thanks to a power play goal at 13:28. Almost seven minutes into the third period Jason Bast restored StFX's three-goal margin, before the Huskies got going again - captain Justin Munden at 11:26 and then Mike Danton with a slapshot past Joey Perricone at 16:37 to bring SMU within a goal. But that was as close as they could come, as seconds after the Huskies pulled goalie Neil Conway, Bast scored his second goal of the game into the net to make it a 5-3 final. Shots favoured SMU 25-17, and 10-5 in the third period. Game #2: Sunday night the X-Men were up 3-0 on the Huskies at 7:16 of the second period, the SMU responded with four unanswered goals, with two of them coming on the power play. Scott Brannon scored the first two goals to lead the StFX attack while Huskies defenceman David MacDonald got the game winner at 16:33 of the third period to even up the series 1-1. 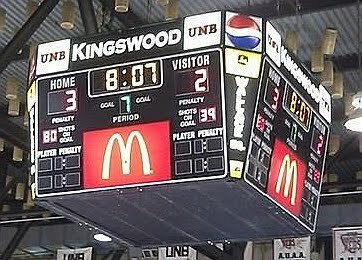 Game #3: Tuesday night in Halifax the Huskies twice blew a lead as the X-Men won 3-2 to take a 2-1 lead in their series. SMU scored first on a set-piece play when Tyler Cuthbert deliberately fired a puck off the rear boards at the Halifax Forum and Ryan Rorabeck jumped on the rebound and fired it past Joey Perricone. StFX tied the game in the second period when d-man Spencer McAvoy pinched it and found the puck in the wild flailing scrum in front of Neil Conway and put it into the net. Seven and a half minutes later Andrew Hotham scored on a SMU power play to put them back in the lead. Just over five minutes into the third period Jason Bast scored on a one-timer to tie it up once again, and then a Huskies penalty midway through the period proved costly when StFX power forward Bryce Swan scored the go ahead goal on the power play. Perricone had another big night in the X-Men net, making 36 saves to preserve the win.